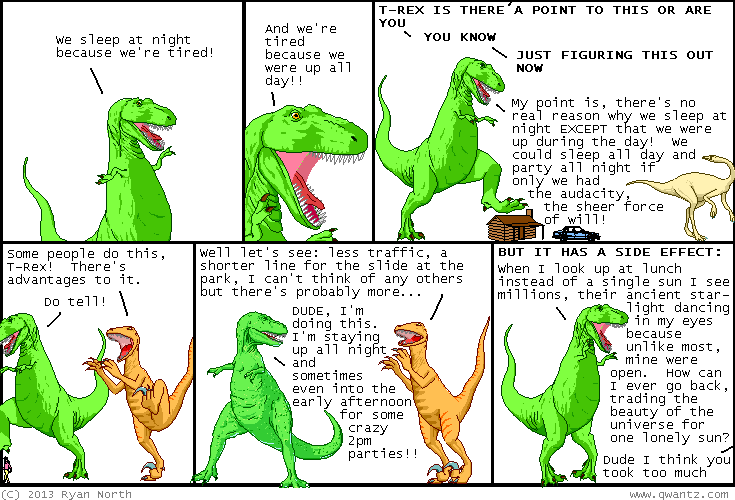 Dinosaur Comics - November 21st, 2013 - awesome fun times! November 21st, 2013: OH SNAP IS THIS BRAND-NEW DINOSAUR COMICS APPAREL YOU CAN WEAR TO THE OFFICE, AT THE BEACH, OR ANYWHERE A CLASSY GARMENT IS DESIRED? ?